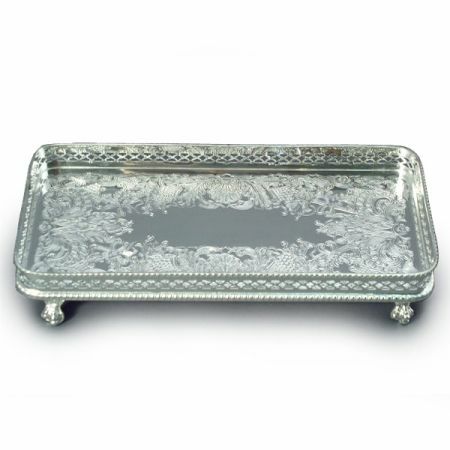 This beautifully designed tray may be used to keep pens tidy on your desk, displaying perfume bottles on a dressing table or even serving champagne. Silver plated. 25cm / 10 inches (L) x 12.5cm / 5 inches (W).